West Hollywood is a small yet popular city in California. The city even though is a beautiful place to live in due to its proximity to Hollywood along with other famous neighborhoods of Los Angeles, but it can prove to be quite expensive. Most of the services in this city are costly; however, Lerman Appliances (this last 2 words link to the homepage) is an exception. We are a reliable company for providing the best services of appliance repair, West Hollywood. A faulty appliance can lead to high frustration. Due to the technological advancement, more people, in this modern world, are depending on their appliances for their routine chores. Thus, a fault in any of the appliance can create troubles. 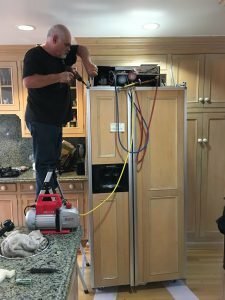 If you have landed in such frustrating times, it is firmly advised to contact a professional company for appliance repair services in West Hollywood. You can easily find numerous companies offering such services, but finding the most reliable one is of utmost importance. Handing over your expensive appliance to a company that provides subpar services can lead to further chaos. These servicers may end up doing more harm than good to your appliance. Hence, you need to rely on professional services by Lerman Appliances if you want to get the best outcome. We have years of experience in handling a broad range of appliances manufactured by different brands. 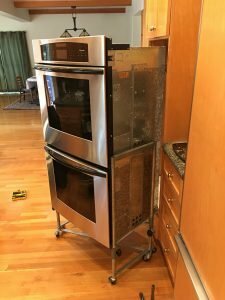 Our expert technicians can repair any types of appliances including refrigerators, freezers, ovens, microwaves, ovens, etc. Due to our great experience in this field and highly skilled services, we are considered as the most reliable name in West Hollywood. The primary reason behind the success level we have achieved is our highly qualified technicians. They have obtained the required license and certificates to perform the repair job professionally. Furthermore, they have ample experience under their belt and boast of the necessary skill set to repair a wide range of appliances. At Lerman Appliances, we are committed and upbeat to providing the best services of appliance repair, West Hollywood. Our rates are fair. Thus, you will not burn a hole through your pockets to avail our highly efficient services. Moreover, our services are backed by a warranty. Hence, if your appliance turns out to be faulty in this tenure, it can be repaired under warranty. The use of state of the art equipment, tools, and equipment along with following the industry standard policies and practices enable us to serve our clients in the best manner. We believe in going above and beyond any set standards for providing our valuable clients with the most satisfying experience. We are known for our superior customer services. Our customer care staff is always available for our clients to assist them and resolve their queries. 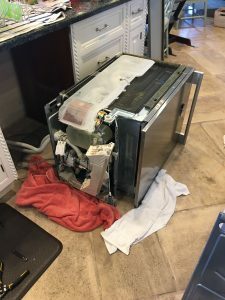 For more information or if you want a proper diagnosis and estimate, feel free to contact us at 818-510-4851 and LermanAppliances@yahoo.com.